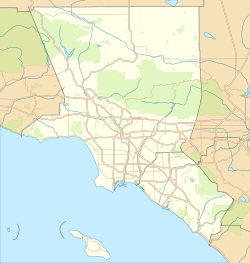 Woodrow Wilson High School (colloquially known as Long Beach Wilson) is an American public high school located in Long Beach, California. This two-block campus is located approximately 1.5 miles from the Pacific Ocean, across from the Recreation Park, and approximately 3 miles from Orange County. Woodrow Wilson Classical High School was established in 1925 as the second school in the city, and ultimately opened for classes in 1926. The institution was named after Woodrow Wilson, who was an American politician and served as the 28th president of the United States. In 1926, a group of high school students chose the nickname Bruins as well as the colors Cardinal and Gold for Long Beach Wilson, due to close distance of two prestigious research universities, the University of California, Los Angeles and the University of Southern California, respectively. Woodrow Wilson Classical High School earned the distinction of being "classical" (hence the term being in the official school name) when they offered graduates a diploma with higher distinction than the regular diploma across the Long Beach Unified School District. Those who earned the "classical" diploma fulfilled one year of performing or visual arts and two years of foreign language in addition to the minimum requirements to graduate from a LBUSD high school. Wilson is the only school to offer such a high school diploma in the district. Referred to as WAVE, the Wilson Academic Vision of Excellence is the most rigorous pathway offered at the school. This liberal arts intensive program provides students the resources to earn acceptances at elite universities and colleges. In order to be qualified, students must earn at least a 3.60 GPA in middle school, be enrolled in Algebra I, receive at least an SBAC score of 2,500 in English, and indicate that the program is their first choice prior to applying. During the program, students must follow a road-map to graduation, which includes at least ten Advanced Placement courses. The oldest program at Long Beach Wilson, Distinguished Scholars provides supplemental distinction for all students outside of those in the WAVE pathway. Although not a pathway itself, the program recognizes those who had a strong academic performance at the institution. Incoming students must receive acceptance by having at least a 3.3 GPA and be enrolled in Algebra I prior to applying. Those not meeting the prerequisites may achieve this award by obtaining at least a 3.3 GPA and receiving a C or higher in Algebra I in addition to the program requirements. The program requires students to have at least a 3.3 GPA, complete four Advanced Placement classes, and possess at least sixty hours of volunteering outside of the school community. The School of the Arts emphasizes the study of the arts through completion of courses studying several disciplines within the field, ranging from theatre to photography. Students must choose a primary and secondary discipline to study at Long Beach Wilson, while completing the requirements for graduation. Students primarily have opportunities related to the arts, such as completing a certification program at Long Beach City College in their discipline of choice. There are no additional prerequisites for this program prior to applying. Designed for the future leaders of society, this program has students embark on experiences in a wide range of public service sectors. Students have the opportunity to take coursework that focuses on ways to benefit a sector, varying from forensic science to criminal law. In addition, students have several opportunities within the city, such as completing related certificate programs at Long Beach City College. There are no prerequisites for this program prior to applying. Initiated by Project Lead the Way, students in the School of Medicine and Biotechnology gain experience in preparation for the field of medicine. Students are required to take a course sequence dedicated to the study of medicine. In addition, students apply the course sequence to internships throughout medical centers in Long Beach, and receive certificates in cardiopulmonary resuscitation and first aid. There are no prerequisites for this program prior to applying. Started by Project Lead the Way, program participants complete coursework in computer science and related fields. Participants are required to complete a course sequence that will prepare them for the rise of technology in today's society. In addition, students will have the opportunity to actively seek and experience internships in the technology industry with their knowledge from the course sequence. There are no prerequisites for this pathway. Woodrow Wilson Classical High school is a participating institution of the Advanced Placement program, which offers students the opportunity to gain college credit albeit two-year and four-year colleges having different policies for granting A.P. credit, if any. The program is maintained by College Board, an organization that administers the AP exams. Long Beach Wilson offers students the chance to participate in Advanced Placement for 27 different disciplines. Although there may be requirements to take an A.P. class, it is possible to challenge any A.P. exam (where the student takes the exam by being an autodidact for the discipline tested), regardless if Long Beach Wilson offers the course or not. As of the 2014-15 school year, Long Beach Wilson had 49% of the 12th grade student body tested at some time during high school where 71% of those passed at least one exam. According to US News, Long Beach Wilson is No. 240 in the state and No. 1,301 in the nation for best overall high schools for the 2016-17 school year. Wilson also earned a silver medal, a distinction awarded for placing 501st to 2,673th best in the nation and had at least a 20.17 college readiness index. Wilson is the best high school in the Long Beach Unified School District. According to The Washington Post, Woodrow Wilson Classical High School is No. 1,024 in the nation for "America's Most Challenging High Schools." According to Niche, Long Beach Wilson is No. 150 in the nation for "Standout Schools in America," which recognizes how much the school has positively impacted their community. Also, Wilson is No. 294 in the nation for "Most Diverse Public High Schools in America," which notes the diversity of a high school in terms of ethnicity. The Long Beach Wilson Bruins participate in the CIF Southern Section under the California Interscholastic Federation. The Bruins are primarily associated with the Moore League for conference play. The Bruins have a fierce rivalry with the Jackrabbits of Long Beach Poly across all sports, which originated from an American football match in 1932. The Bruins sponsor varsity teams in 12 boys', 12 girls', and three coed sports. All are CIF-sponsored sports unless indicated. Long Beach Wilson has won 64 regional, 11 state, and 2 national championships since the institution fielded athletics in 1926. Since the 1952 Summer Olympics, 38 Bruins have participated in the quadrennial Olympic Games. By the conclusion of the 2016 Summer Olympics, the Bruins have gathered 16 olympiads. Long Beach Wilson has been recognized by ESPN for their output of Olympians. Note: If applicable, the college attended is where one studied for undergraduate education and competed at the college level; all other colleges where an athlete attended for another kind of education and/or competition are excluded. ^ "About Wilson". Retrieved November 3, 2017. ^ "Wilson High". National Center for Education Statistics. Retrieved January 25, 2019. ^ "Mascots". Woodrow Wilson Classical High School. Retrieved November 3, 2017. ^ "About Wilson". 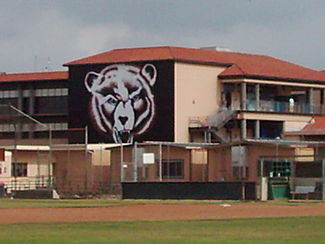 Woodrow Wilson Classical High School. Retrieved November 3, 2017. ^ "Home of Woodrow Wilson High School". Woodrow Wilson Classical High School. Retrieved November 3, 2017. ^ "About Woodrow Wilson Classical High School". Archived from the original on December 24, 2008. Retrieved November 15, 2008. ^ "Woodrow Wilson Classical High School: History". Long Beach Unified School District. Retrieved November 3, 2017. ^ "District and School Enrollment by Ethnicity for 2017-18". 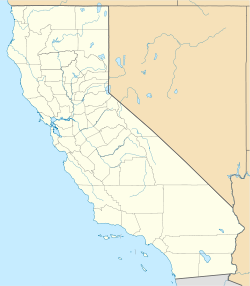 California Department of Education: Educational Demographics Unit. Retrieved November 3, 2017. ^ "Graduation Requirements". Woodrow Wilson Classical High School. Retrieved November 3, 2017. ^ "HS Graduation Requirements". Long Beach Unified School District. Retrieved November 3, 2017. ^ "Wilson High School: Wilson Pathways". Woodrow Wilson Classical High School. Retrieved November 3, 2017. ^ "Wilson High School: WAVE". Woodrow Wilson Classical High School. Retrieved November 3, 2017. ^ "Wilson Pathways". Woodrow Wilson Classical High School. Retrieved 25 June 2018. ^ "School of the Arts". Woodrow Wilson Classical High School. Retrieved 25 June 2018. ^ "School of Leadership and Public Policy". Woodrow Wilson Classical High School. Retrieved 25 June 2018. ^ "School of Medicine and Biotechnology". Woodrow Wilson Classical High School. Retrieved 25 June 2018. ^ "School of Technology". Woodrow Wilson Classical High School. Retrieved 25 June 2018. ^ "Advanced Placement (AP) Student Performance at Wilson High". US News & World Report. Retrieved November 3, 2017. ^ "UC/CSU Approved Course List at Woodrow Wilson High School". University of California. Retrieved November 3, 2017. ^ "Wilson High in Long Beach, CA Profile". US News & World Report. Retrieved November 3, 2017. 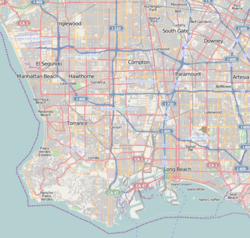 ^ "Long Beach Unified School District Profile". US News & World Report. Retrieved November 3, 2017. ^ Jay Mathews (May 5, 2017). "America's Most Challenging High Schools". The Washington Post. Retrieved November 3, 2017. ^ "Wilson High School Rankings". Niche. Retrieved November 3, 2017. ^ Mike Guardabascio (October 24, 2012). "The Big Game: A Brief Look at the History of Poly/Wilson". Gazettes Sports. Retrieved November 3, 2017. ^ "Athletics at Woodrow Wilson Classical High School". Woodrow Wilson Classical High School. Retrieved November 3, 2017. ^ "Wilson Olympians at Woodrow Wilson Classical High School". Woodrow Wilson Classical High School. Retrieved November 3, 2017. ^ Dan Arritt (July 29, 2016). "How a California high school keeps cranking out Olympians". ESPN. Retrieved November 3, 2017. This page was last edited on 13 April 2019, at 01:17 (UTC).